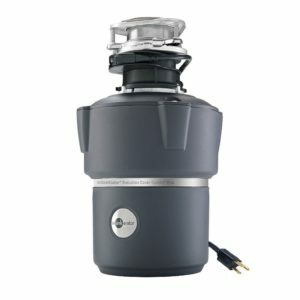 How quiet can a garbage disposal be? You will be amazed to know that a well-insulated disposer makes only as little sound as water flowing down your sink drain. The noise made by a disposer mostly depends on the level of insulation it has, premium products tend to have better insulation than cheaper ones. It is also notable that the sound produced by a disposer is not just its motor running and grinding but also is by the vibrations it causes on the sink, the better fit it is with the sink the lower will be the vibrations and hence the noise. 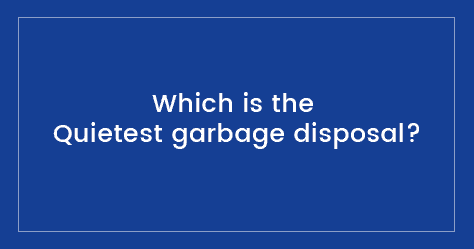 An ordinary garbage disposal produces a sound of approximately 80 decibels. The quietest disposals produce only a decibel level ranging from 25db to 45db. During my extensive research, I found not one but 7 disposers which run really quiet (which you can easily find with my Disposal Finder Tool). Of course, the levels of noise they make are different but they are the quietest of all. 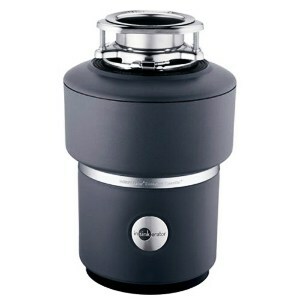 Though only by a small margin this InSinkErator disposer is the quietest on my list. It is powered by a 1HP motor which runs at a speed of 1725RPM. Its grinding chamber and components are made of high-quality stainless steel, and the chamber, as well as the sink mount, are properly insulated which prevents any noise from escaping. This disposal has a 3 stage grinding system for better grinding, and the grinding chamber can accommodate up to 40oz of food wastes. I had done a detailed review of InSinkErator Evolution Excel which you can read more here. Though not as quiet as the Evolution Excel this product has excellent noise insulation capabilities. It runs on a 3/4Hp dura-drive motor (all InSinkErator models use Dura-drive induction motors) at a speed 1750RPM. Though underpowered than the Evolution Excel model it has the same chamber capacity of 40oz. It has a 2 stage grinding system and uses top class sound insulation technology. You can read my full review of this disposer here. 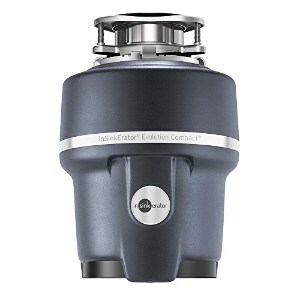 The ‘Compact’ model is another quiet disposal from InSinkErator. In fact, 5 out of the 7 disposals I have chosen here are made by InSinkErator. As the name indicates it has a compact design which still can accommodate 34.6oz of food wastes. It is powered by a 3/4 HP motor which is same as that of the ‘Essential’ model. The Evolution Compact model is very similar to the ‘Essential’, one notable difference is that this is a ‘continuous feed’ type disposal while the latter is ‘batch feed’ type. You can read my detailed review here. The L-3200 is a very popular product from Waste King. It is not as quiet as the ‘Evolution Excel’ but its sound insulation comes at par with that of the ‘Evolution Compact’ model. It is powered by a 3/HP permanent magnet type motor running at 2700RPM (all Waste King disposers use permanent magnet type high-speed motors.). It has only 1-stage grinding but the grind efficiently is none the less. One thing I like about the Waste King models is that they all come with a power cord and a removable splash guard which makes it easy to remove and clean them. This model has a limited warranty of 8 years, the stainless steel components and the corrosion resistant grinding chamber by no doubt give the confidence that this product will last forever. While the build quality may not be at par with any of the InSinkErator models mentioned above this disposal is more economical. 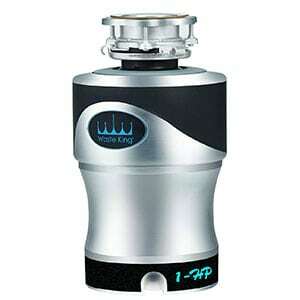 If you are looking for a premium quality disposer which gives the best value for money this is what you are looking for. 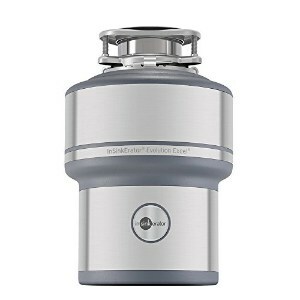 Though silver in color this disposer reminds me of Batman, most probably it is the name; Knight. While all other Waste King disposals lack in design this one is an eye-candy. 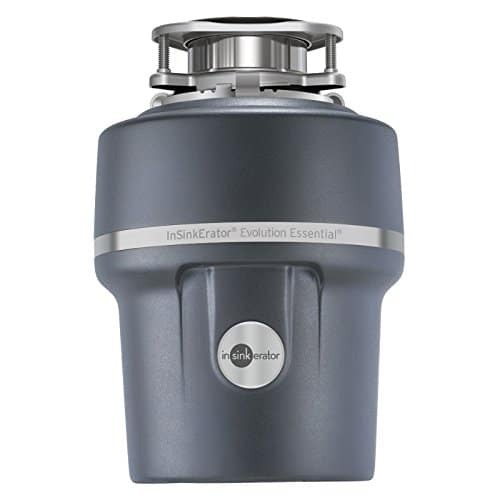 They use ‘exclusive silencer’ technology which makes it one of the quietest garbage disposals, the manufacturer made this definitely to compete with the top end InSinkErator models especially ‘Evolution Excel’. They made sure that this product doesn’t lack behind in anything, it is powered by a 1HP high-speed motor which runs at 2700RPM whose performance is at par with those having multi-stage grinding. It has top-notch built quality with stainless steel grinding components and a corrosion resistant grinding chamber. One great advantage of this model is its price tag, it is much cheaper than its competitors. This one is a slightly cheaper version of the InSinkErator Evolution Essential but is continuous feed type. Like its predecessor, it makes use of ‘Sound Seal’ technology. It operates quietly, the noise insulation is not the best but still, it is great. Though silent it uses a 3/4 HP motor and a 2 stage grinding system to grind food wastes to a pulp. 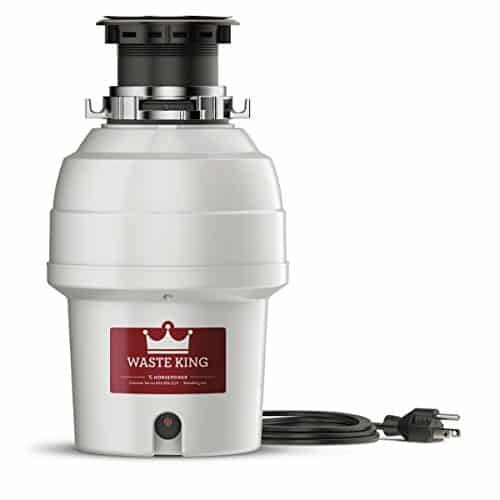 It is pricier than the Waste King models, I should say that unless you have some specific reasons any of the above-mentioned disposals and quieter and a better choice than this one. This is a batch feed disposal, the only other such a disposal mentioned in this review is ‘InSinkErator Essential’. Its operation is quiet, it has a chamber capacity of 40oz, is powered by a 3/4HP motor and has a 2-stage grinding system. Its operation is ultra-quiet which is the same as that of the ‘Excel’ model. It is priced at the premium end.